**Consider reserving a package of 5 or more sessions to save $$ and then the Coach will create a Structured Private Plan that builds a curriculum from the multiple skill list below. To arrange for a Private session with Coach Bill or one of his Coaches simply click on the “Book Now” button towards the bottom right of the page and you will be led to the registration page. Typical Rinks Stick and Puck cost: $30-$50 for Coach and Player for the hour. Single Skill Development Session: Just as the description suggests this session will focus on a single Skill or Technique development. 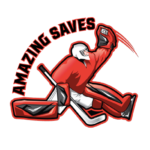 Various shooting and game situation drills will be utilized to work on any of the one types of save selections or game situation skills listed above. Like the Multiple Skill format, the lesson will begin with a 10-15-minute warm-up that will focus on stretching, skating and edge work. The remaining 45-50 minutes will be dedicated to shooting and game situation drills. Sessions can be arranged 7 days a week with short notice based upon the Coaches Calendar Availability and Ice Time Availability. Sessions can also be arranged to be held during Stick and Puck sessions at either City Ice Pavilion or World Ice Arena.